Hiking in the Ardennes: What are the Best Spots? Where to go Hiking in the Ardennes? The Ardennes are a wild and very scenic region in the southeast corner of Belgium, also spanning across northeastern France and northern Luxembourg. Dense lush forests, low hills, meandering rivers, fascinating caves and picturesque villages, make this countryside area a huge playground for those willing to enjoy an active holiday in pristine nature. Hiking is the best way of exploring the Ardennes. There are hiking trails for all types of traveler, from challenging long-distance options to short family-friendly getaways that will take you through idyllic natural areas. Whether you enjoy wildlife, culture, gastronomy, history, or all of those at the same time, you will definitely find something for you here! 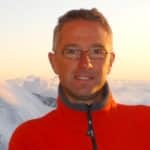 Olivier ―International Mountain Leader and former president of the Belgian Luxembourg Tourism Federation― is passionate about trekking and knows the Ardennes like the back of his hand. 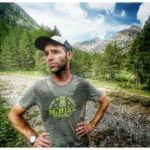 He has listed his 5 favorite hikes in the Ardennes, and shared some useful pieces of advice to help you make the most of your trip there. Let’s discover the top 5 hiking adventures in the Ardennes! This peaceful valley unfolds along the course of the winding Semois River, a tributary of the Meuse. It comprises a 220 km area between the towns of Arlon, in the Belgian Ardennes, and Monthermé, in the French Ardennes, and provides breathtaking views of pine tree woods, green fields and small villages atop the rolling hills. Blessed with a particular microclimate, the Semois Valley was once a thriving hub of the tobacco industry. Photo: Courtesy of Olivier Delmée. Some of this past can be traced when visiting the Belgian villages of Laforet, Membre, Mouzaive and Vresse sur Semois. Laforet, with its traditional farmhouses and old wooden tobacco drying sheds, is hailed as one of the most beautiful cities in Wallonia. One of the highlights when traveling across this valley is crossing the Pont de Clais, a rustic seasonal bridge which is built every spring to access the opposite side of the Semois. Area: Namur & Luxembourg provinces, region of Wallonia, Belgium | Ardennes Department, France. How to get there: From Paris, you can reach Monthermé in a 2h 40 min drive. From Brussels, you can get to the village of Vresse-Sur-Semois in 1h 50 min. There are train connections from Brussels and Namur as well. Explore the beautiful Semois Valley on a 3-day hike! The Anlier forest is tucked in the edge of the Ardennes, in the Belgian province of Luxembourg. It’s a vast and unspoiled natural area, drained by the Sûre river and brimming with wildlife, like deers, foxes, rare birds and wild cats. It’s also well known for its gourmet specialties. Want to try some cheese, Ardenne ham, honey, pâté gaumais, craft beers? You name it! This is the place to be if you are a foodie seeking the perfect gastronomic experience in Belgium’s countryside. A trip to the Anlier Forest is an invitation to travel slow and relax in a calm environment! And it’s only at a 2 hours drive from Brussels. Bastogne is one of the best starting points for a hiking trip around meadows and woods. This city is well known for its strong war heritage; it was the epicentre of the World War II Battle of the Bulge, so there are many museums and memorial sites. How to get there: you can travel by train to the nearby town of Libramont from Brussels (2h), Namur (1h) or Luxembourg (50 min). From there, take a bus to Bastogne (45 min). Also, there are daily buses joining Bastogne with Liege (1h 30 min) and Namur (1h 20 min). Discover the beautiful Anlier Forest on this 3-day hike! The large Forest of Saint Hubert spans across 10 different communes in the Ardennes and is home to a wide array of animals and birds. It’s a must see for nature lovers and boasts exciting hiking trails to venture into the woods. This is one of the best spots in the Ardennes to observe the bellowing deer, one of the most fascinating species in these lands. The fall season is the time to come here if you want to immerse in nature and listen to the unique and powerful roar of the deer. In the heart of the forest, lies the small town of Saint Hubert, which has an imposing basilica to honor the local saint (the patron of hunters) and it’s also worth a visit! Olivier proposes different exploratory journeys in St Hubert Forest. There are options for sporty hikers and shorter trails for those who prefer a more leisurely activity. Finally, those who are up for a more ‘into the wild’ experience, can tackle a 2-day hike in the forest and spend the night in a bivouac. Departing from the village of Givry, the trip takes you across small villages and valleys with exhilarating views. How to get there: There’s a direct train from Namur to Poix St Hubert (1h 15 min). From Brussels, you can take a train to Rochefort and then towards Poix St Hubert (2h 45 min). Venture into Saint Hubert forest on a 3-day hiking trip! The Escapardenne Eislek Trail is the great hiking route in the Ardennes, labeled as one of Europe’s “leading quality trail”. This long-distance trail runs 106 km between Belgium and Luxembourg. It can be split on different stages, tackled in both directions and accomplished over the course of roughly 6 days. The route starts at the village of Kautenbach, in Luxembourg, and finishes at La-Roche-en-Ardenne, in Belgium. It goes through 3 cities and almost 20 villages, with landscapes changing dramatically, from the high grassland plateau to deep valleys. Hiking the Escapardenne is a way of going off the beaten paths and set out on a challenging trip of exploration and discovery of the natural diversity of the Ardennes, as well as its cultural and historical heritage. Area: Oesling region (Luxembourg) – Wallonia region (Belgium). How to get there: You can reach Kautenbach by train from the city of Luxembourg (40 min). From Brussels, you can catch a train to Kautenbach with a change in Liege (3 h). Hike the iconic Escapardenne Trail in the Ardennes in 6 days! The Oesling ―also known as Eislek or Luxembourgish Ardennes― is one of the two geographical regions of the Grand-Duchy of Luxembourg, located in the north of the country. It’s a region of striking beauty, with a landscape that alternates between rolling hills, plateaus, fields, oak forests and rivers. Wiltz is one of the most important cities in this region and the jumping off point to many hiking adventures in the area. Hiking trails often involve passing by quiet villages, visiting ancient castles and exploring the two nature parks in the Oesling: the Nature Park Our and the Nature Park of the Upper Sûre. How to get there: By train from Luxembourg city (1h), with a change in Kautenbach; or from Brussels (4h) with two changes. If you are already in the Ardennes, you can move by bus. A bus from Bastogne, in Belgium, takes only 25 minutes. When is the best time to go hiking in the Ardennes? You can go hiking in the Ardennes at any time of the year, as each season boasts its own charm. The rivers sparkle during the Summer season and wildflowers bloom in Spring. Fall is all about beautiful foliage and Winter offers some snow for the most adventurous hikers. The months of June and September are great options if you’d like to avoid the crowds and enjoy good weather conditions. With bucolic countryside landscapes, magic forests and a relaxed atmosphere, a trip to the Ardennes is the perfect chance to unplug from the hustle and bustle of city life and enjoy life at a different pace. Check out all the different options available at Explore-Share and go hiking in the beautiful Ardennes with a local guide! We thank Olivier for sharing his knowledge & expertise with us to create this article!